An ice tunnel near Novolazarevskaya (or Novo for the non Russian speaker!!) in Antarctica. Before setting out for the pole we had time to explore the area where the sea ice meets the land and forms a crumpled landscape of fold mountains made of ice. 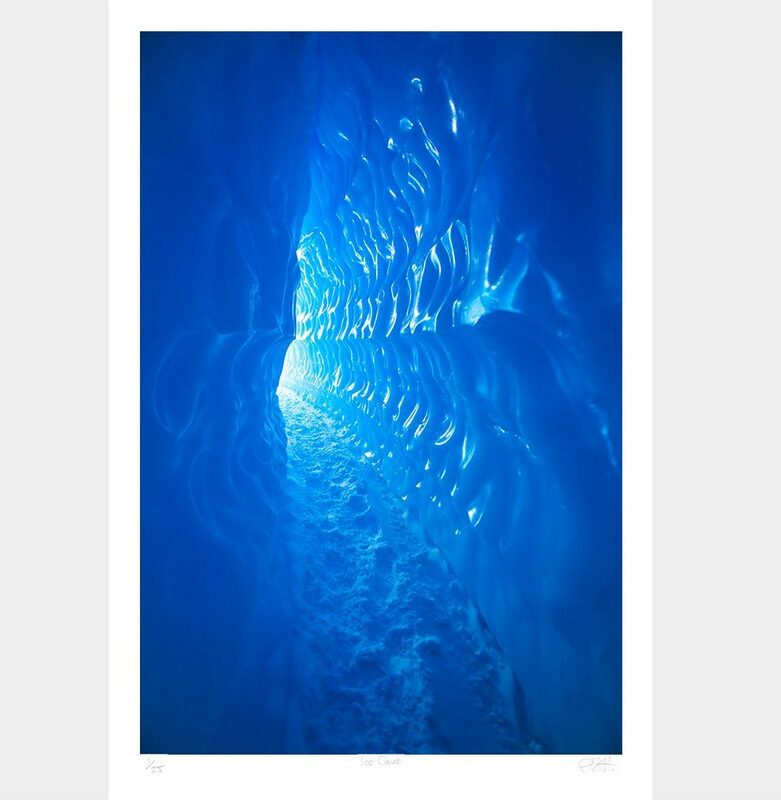 Also formed are these tunnels of rock had ice that can extend for hundreds of meters, they are stunningly beautiful. All my prints are processed by professional printers The Print Space, delivering the highest quality fine art prints. I use Hahnemühle Photo Rag paper which I find especially good for Fine Art Landscape prints, however this particular image is much better when printed on Epsom Semi Gloss, if you felt you wanted a different finish though, do get in touch here.